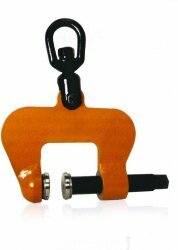 Clamp for lifting in all positions without marking the surface of smooth or polished pieces of stainless steel, aluminum, pre-lacquered, laminated wood, concrete, plastic, glass plates and welded-plate assemblies.This clamp is fitted with an automatic gripping mechanism: the locking handle is designed to fit the clamp over the edge of the object to be moved and the automatic locking on the trigger grips the piece to be lifted. 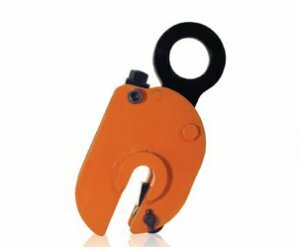 It is also fitted with a safety spring mechanism ensuring permanent contact of the cam against the piece to be lifted, even when it is laid down.The opening of the NXR models is adjustable by means of a pin in increments of 20 mm. NX1.5 0-30 3300 0-1 1.8"
NXR05 0-100 1100 0-3 15/16"
NXR05 20-120 1100 13/16"- 4 1/4"
NXR05 40-140 1100 1 9/16"-5 1/2"
The plate or piece to be lifted must always be driven home into the throat of the clamp. Never lift greasy or oily pieces. Do not use the automatic gripping mechanism when handling fragile loads. 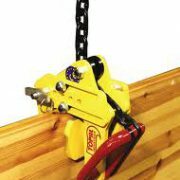 For safety’s sake, ensure clamps are always unlocked (cam closed) when not in use. Never lift more than one plate at a time. Apply the down-gradation if necessary. Working temperature: -20o to +80oC. 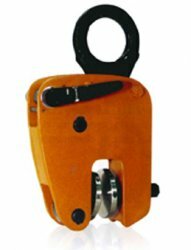 TOPOL NON MARRING CLAMP1,100 LBS WLLOPENING 0"- 13/16"
TOPOL NON MARRING CLAMP WITH ADJUSTABLE OPENING1,100 LBS WLLOPENING 0"- 3 15/16"
Title: : NX1.5 0-30Stock No: : 50418Stock (Quantity): : 5Price : $1348TOPOL NON MARRING CLAMP3,300 LBS WLLOPENING 0"- 1-1/8"
TOPOL NON MARRING CLAMP WITH ADJUSTABLE OPENING1,100 LBS WLLOPENING 13/16" - 4 1/4"
TOPOL NON MARRING CLAMP WITH ADJUSTABLE OPENING1,100 LBS WLLOPENING 1 9/16" - 5 1/2"
Renfroe NMBL Non-Marring Clamp is used to turn plates from the horizontal through a 180 degree arc. 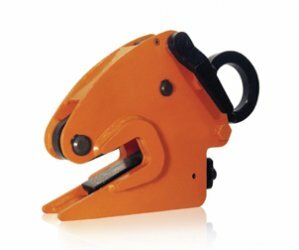 Renfroe Model NMRSC is a lightweight screw clamp for bench work on steel plates of large thicknesses, and weighing less than 1000 lbs. 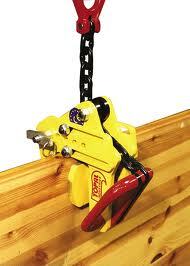 Renfroe Model NM clamp (non-marring) is manufactured with smooth gripping surfaces to prevent marring.